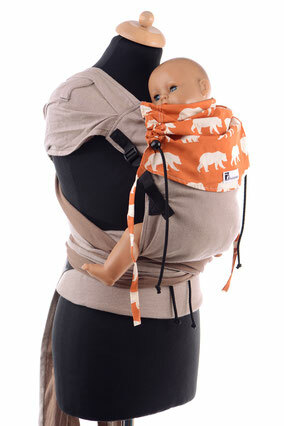 The Huckepack Wrap Tai is a baby carrier with a very adjustable back panel, the whole carrier is made from an organic wrap fabric. Each carrier has a head support. The ergonomic and firm hipbelt is closed with a buckle, the long and expanded shoulder straps have to be tied. 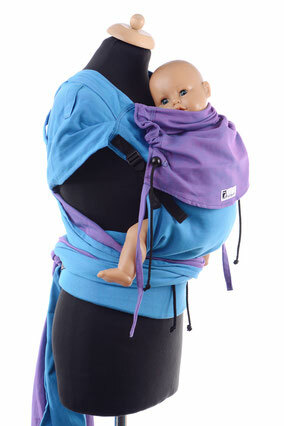 This kind of baby carrier is also called a wrap conversion .